M/Y My Way is the fifth units of the Benetti Fast 125′ model. This beautiful motor yacht built and also delivered, recently in Viareggio by Benetti Yachts, have a length of 38.1 meters. Stefano Righini designed the exterior line of the motor yacht giving it a sporty elegance. 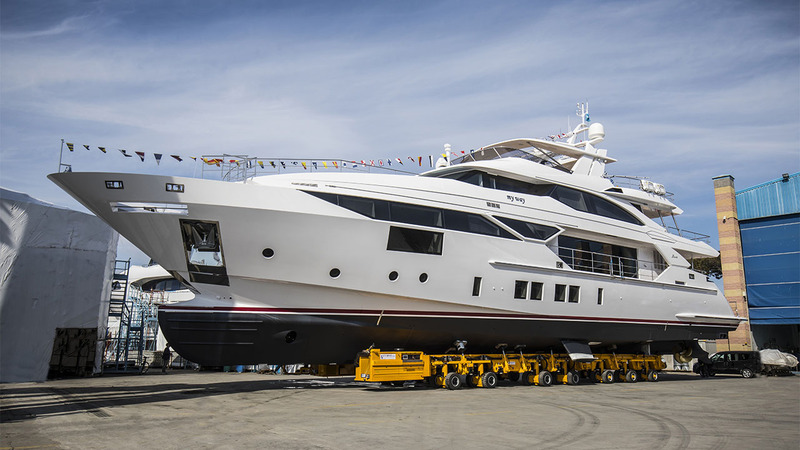 So, like Cantalupi Group we are very proud to have participated in the construction of M/Y My Way. For first, Cantalupi Electric Systems, has designed and realized the whole electrical system with a particular attention to the customization of switchboards, same for the automation system. For second, 4C Innovation has provide digital intercom system, navigation led lights and the back light led yacht name. The M/Y My Way of Benetti Yachts, is another excellence in the made in Italy yacht production.